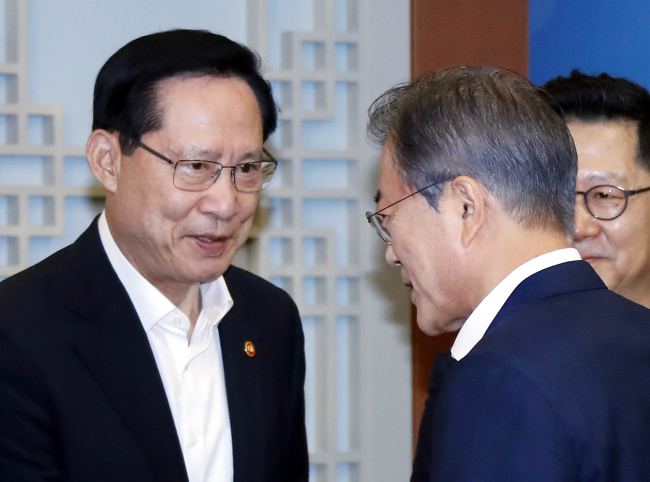 South Korea and the United States will hold biannual working-level defense talks in Seoul this week over a range of issues, including the planned transfer of wartime operational control, Seoul officials said Tuesday. The 14th Korea-US Integrated Defense Dialogue will take place from Wednesday through Thursday ahead of their annual minister-level Security Consultative Meeting to be held in Washington in late October. Deputy Minister for National Defense Policy, Yeo Suk-joo, will represent the South Korean side, while Roberta Shea, acting deputy assistant secretary of defense, will lead the US delegation, officials here said. The two sides are expected to discuss ways to bolster bilateral defense cooperation in light of ongoing diplomacy aimed at denuclearizing North Korea and establishing a peace regime on the peninsula, as well as key alliance issues, including the handover of wartime operational control. The results of the talks will be reported to the SCM in October.